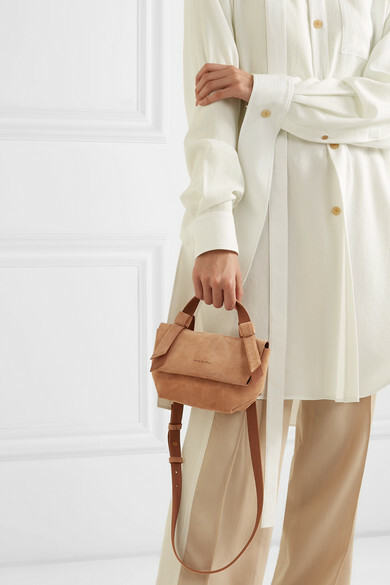 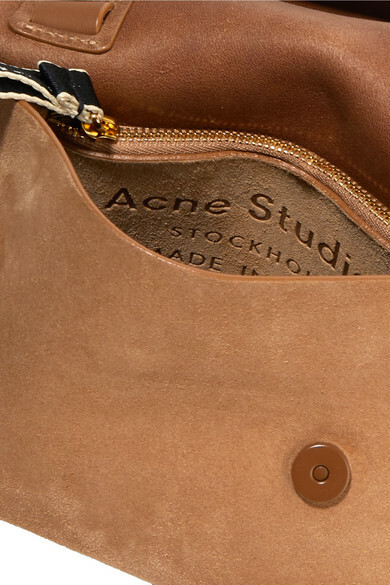 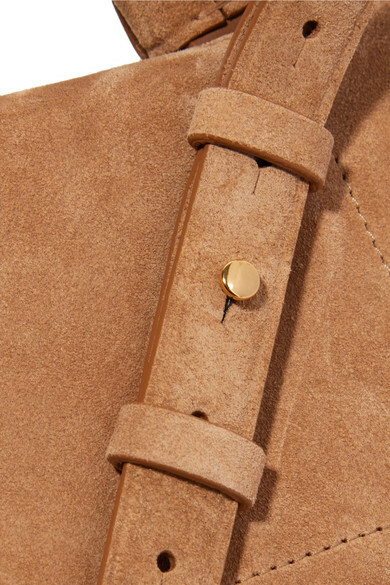 A smaller version of Acne Studios' signature 'Musubi' bag, this one is crafted from earthy beige suede and perfectly sized to tuck your keys, phone and cardholder inside. 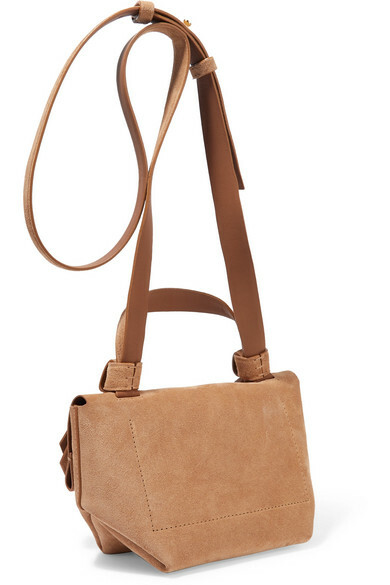 The artfully knotted shoulder strap can be adjusted to find the right drop. 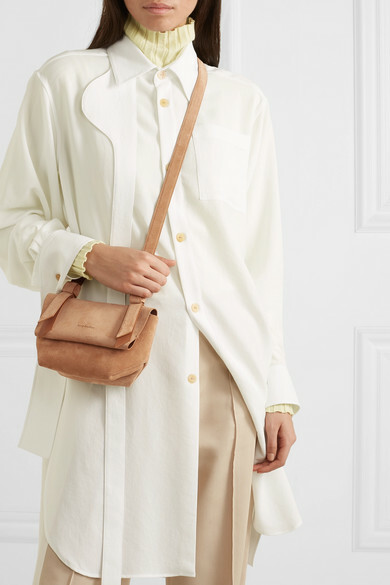 Shown here with: Loewe Shirt, Petar Petrov Sweater, Peter Do Pants, Tibi Sandals.